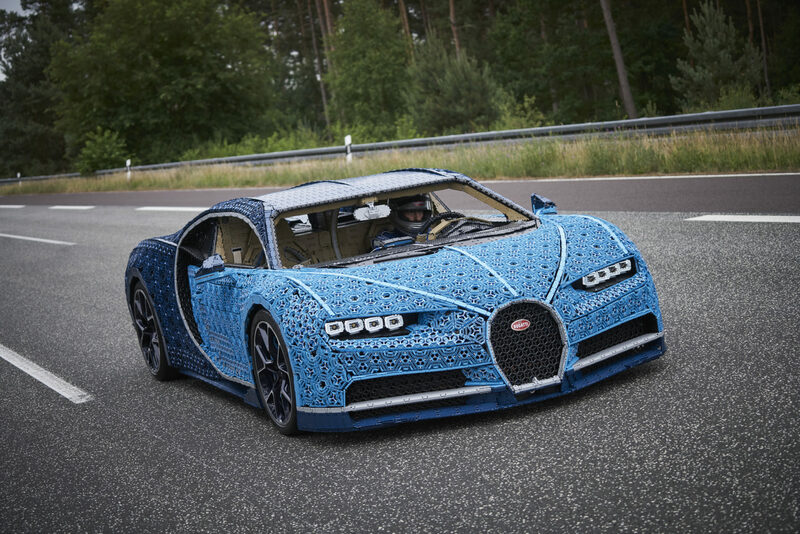 LEGO Makes a One Million-Piece Bugatti Chiron... And Then Drives It! 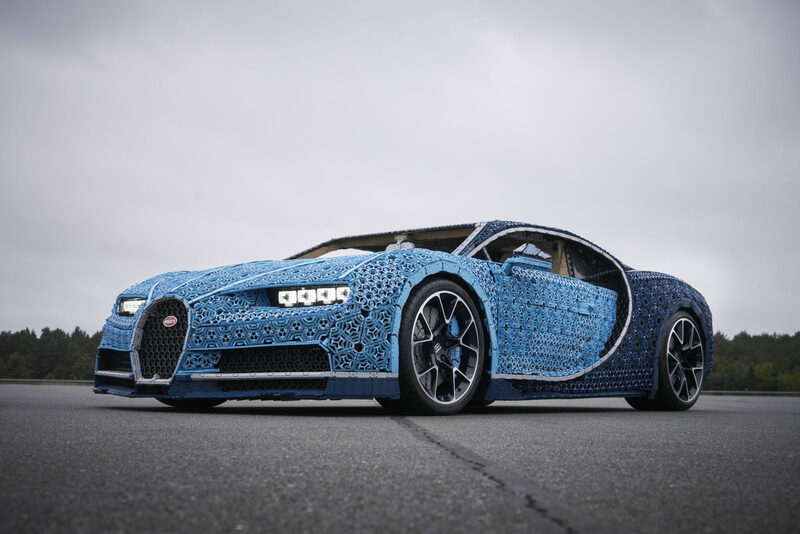 LEGO Makes a One Million-Piece Bugatti Chiron… And Then Drives It! 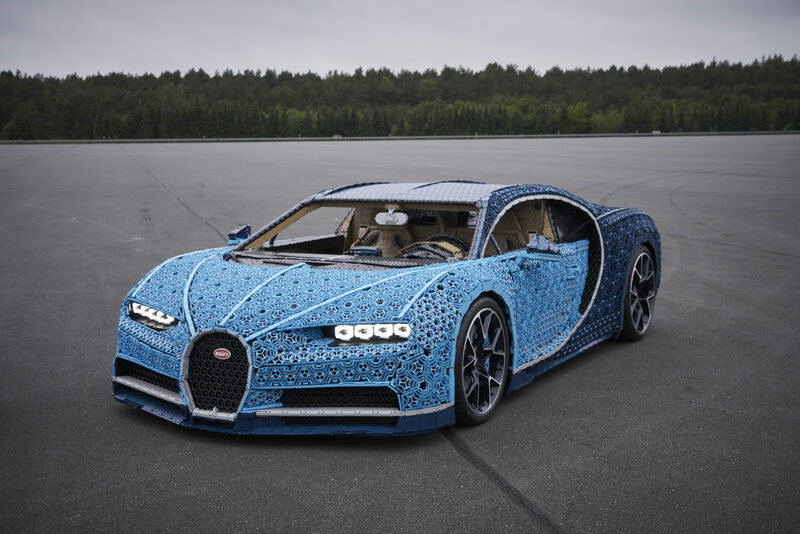 It was only in June that LEGO released its model of the Bugatti Chiron. 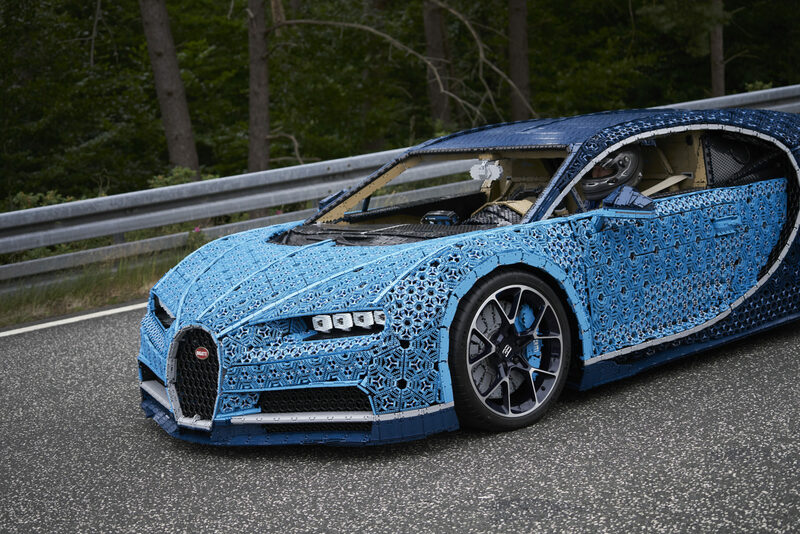 That 3,599-piece kit looked like a bit of a challenge, but LEGO has already one-upped it with a new model. 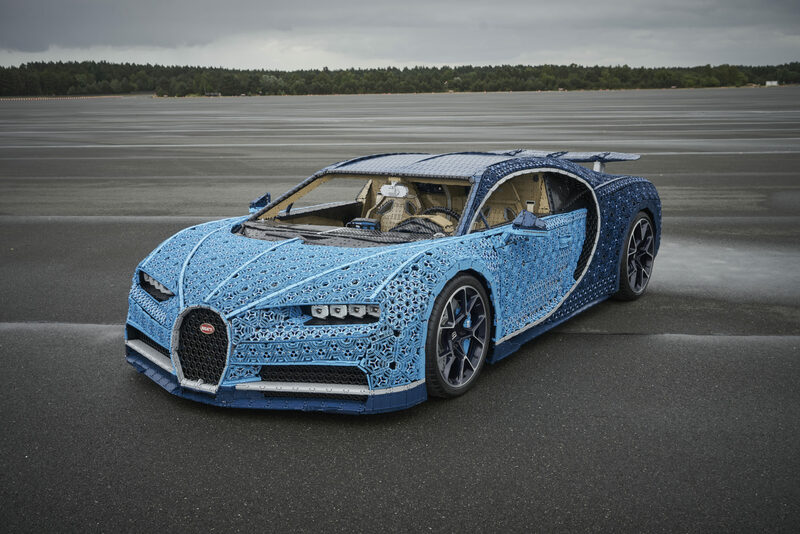 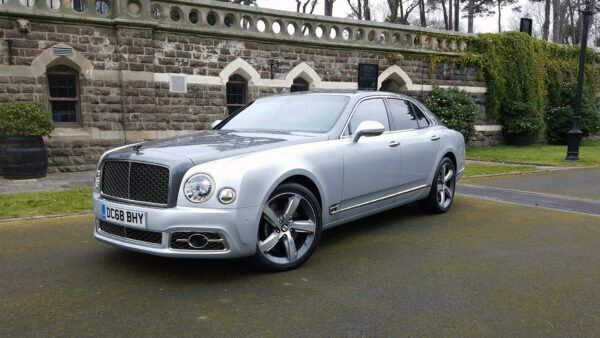 You’re not going to find this one in the shops though, as it’s a one-off project. 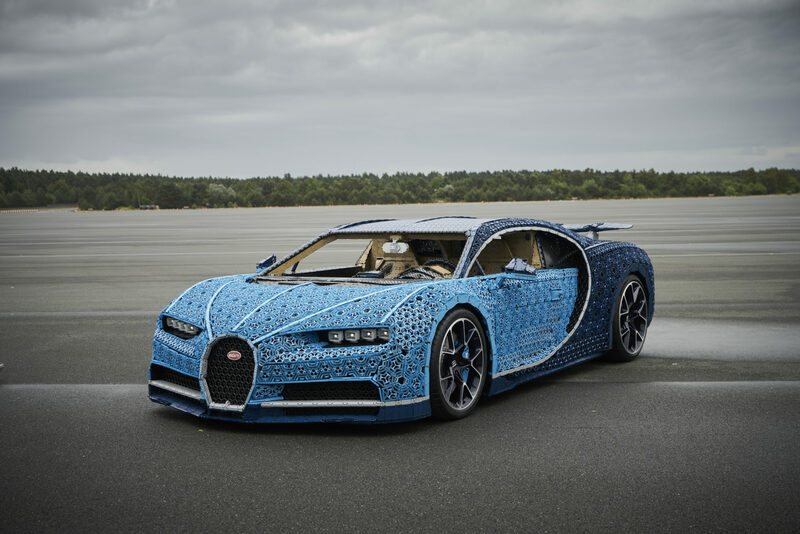 That notwithstanding, it’s also a little bigger than the original kit. 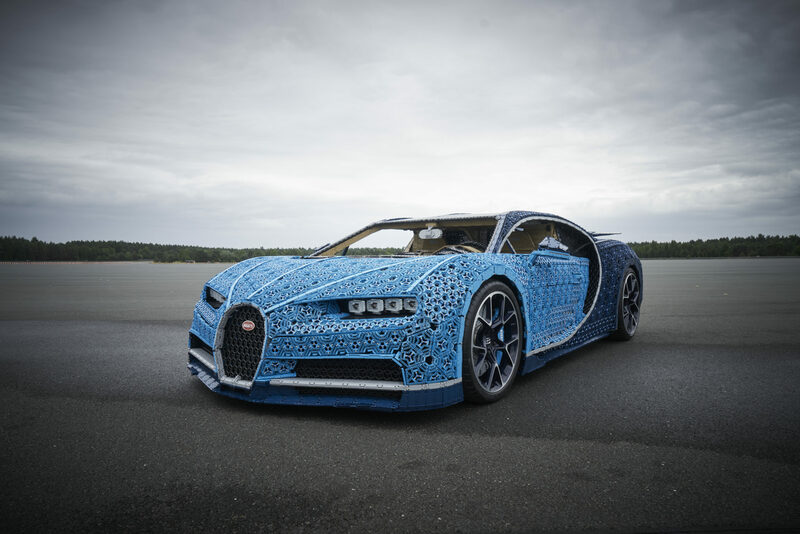 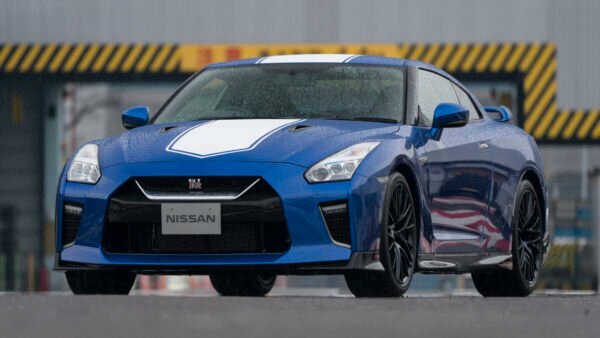 Okay, a lot bigger: it’s 1:1 scale… and you can drive it. 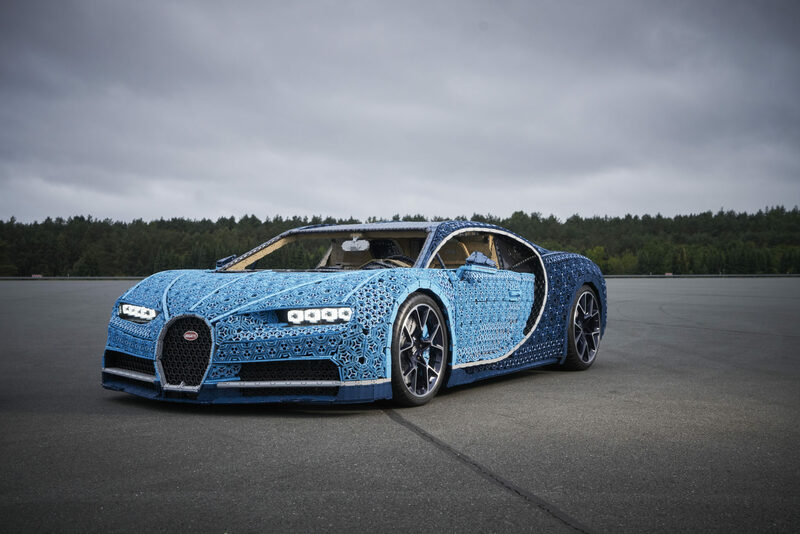 The idea for building a full-size LEGO Chiron came from that smaller model. 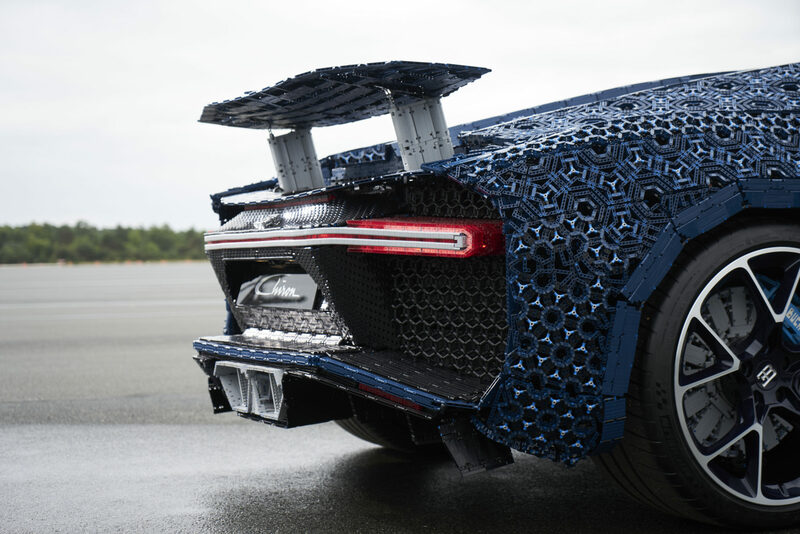 The LEGO Technic design team got to wondering just what you could build with its elements. 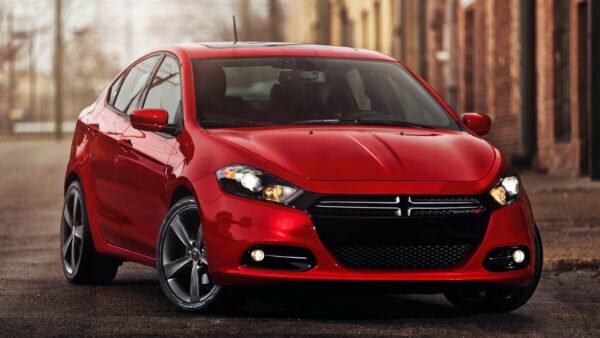 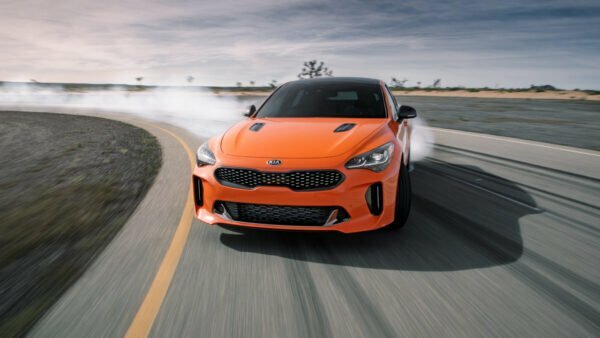 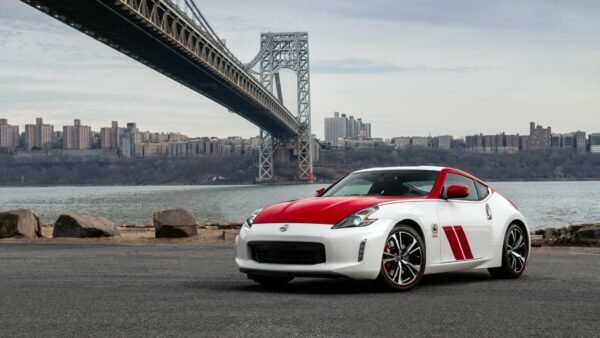 Somewhere along the line, someone suggested a real, driveable car, and the project began in earnest. 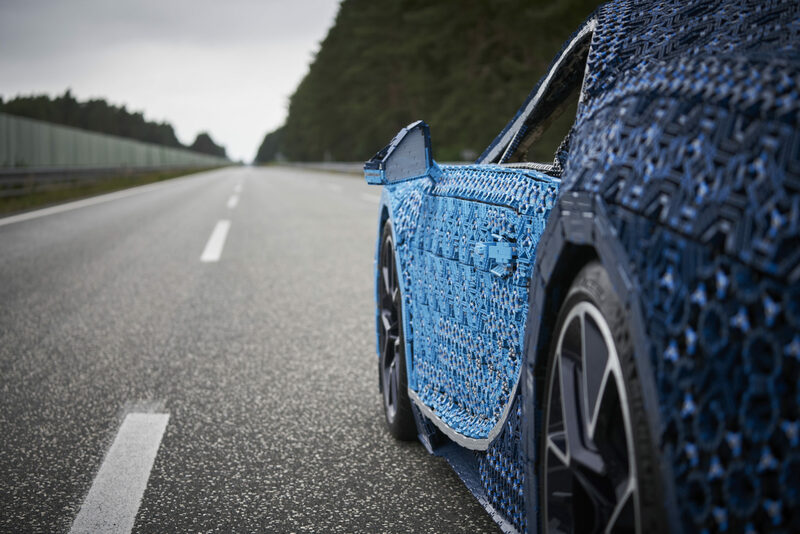 It took a 16-strong team at the LEGO design facility in the Czech Republic over 13,000 man-hours to design the car. 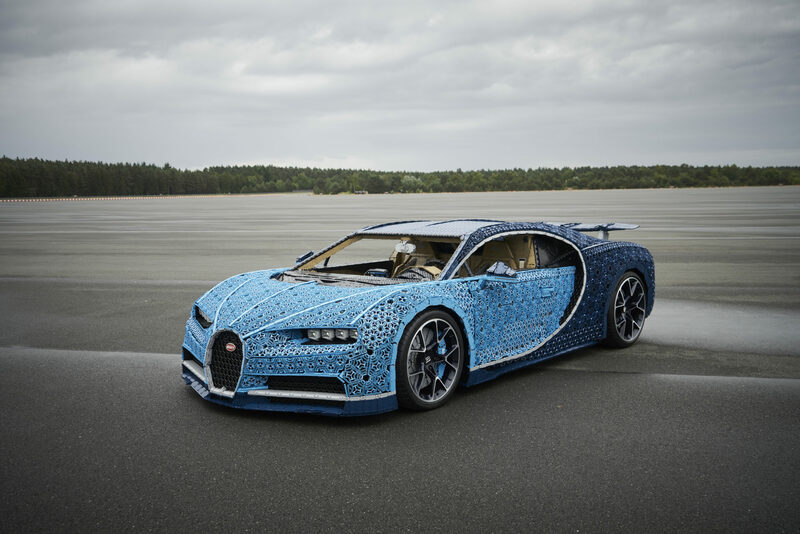 This included not just the external design, but also the Chiron’s unique lightning system and the means of propulsion. 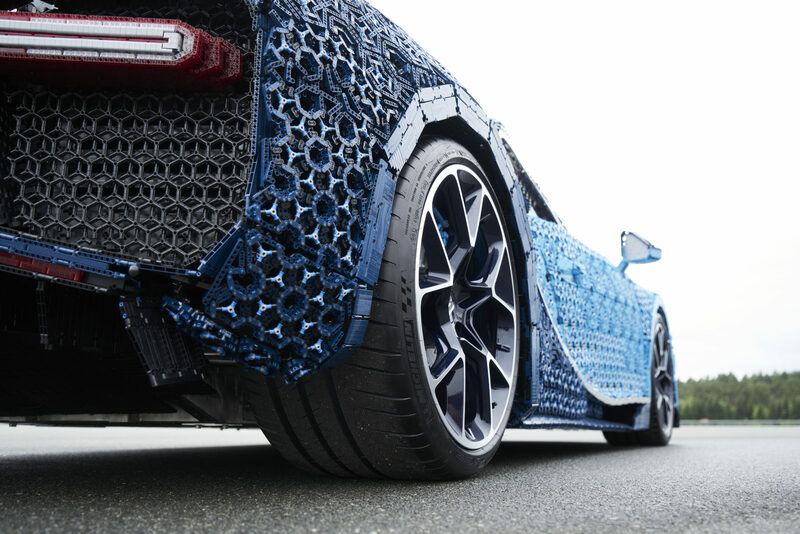 Most of the car’s chassis is LEGO. 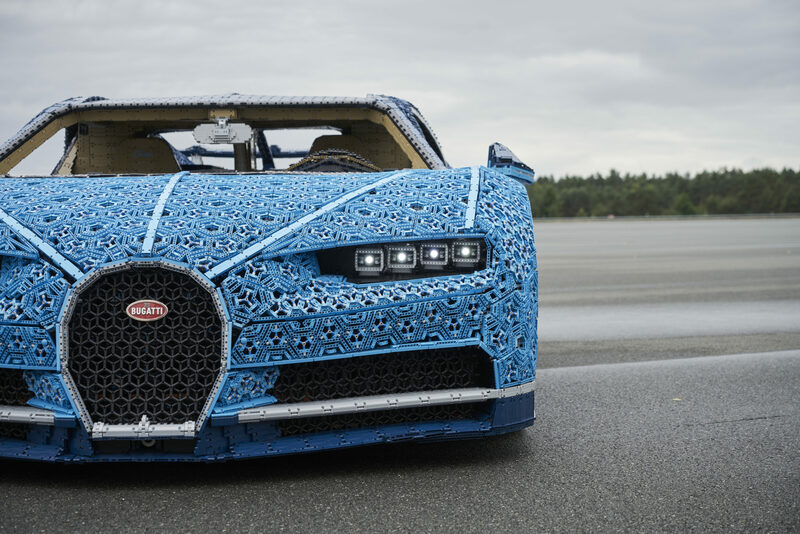 Aside from the wheels and subframes, everything is plastic. 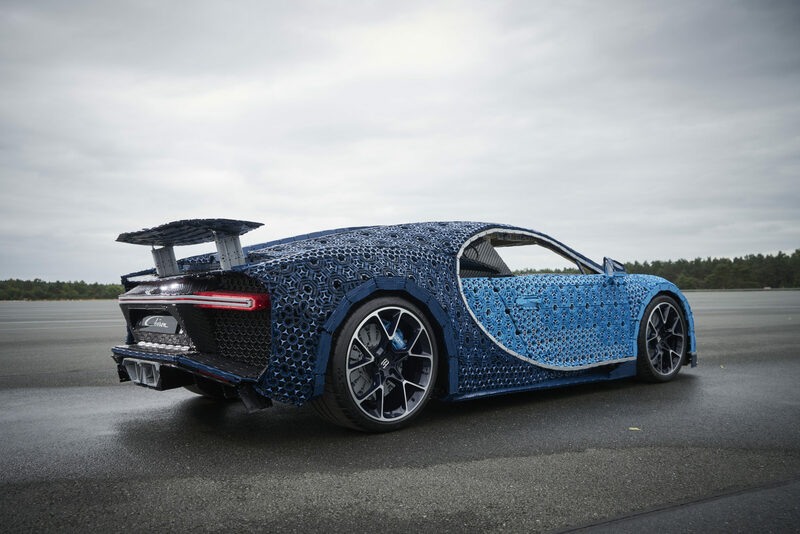 Usually these large scale LEGO builds involve a solid metal platform that it builds everything on top of, but for the Chiron it’s LEGO Technic. 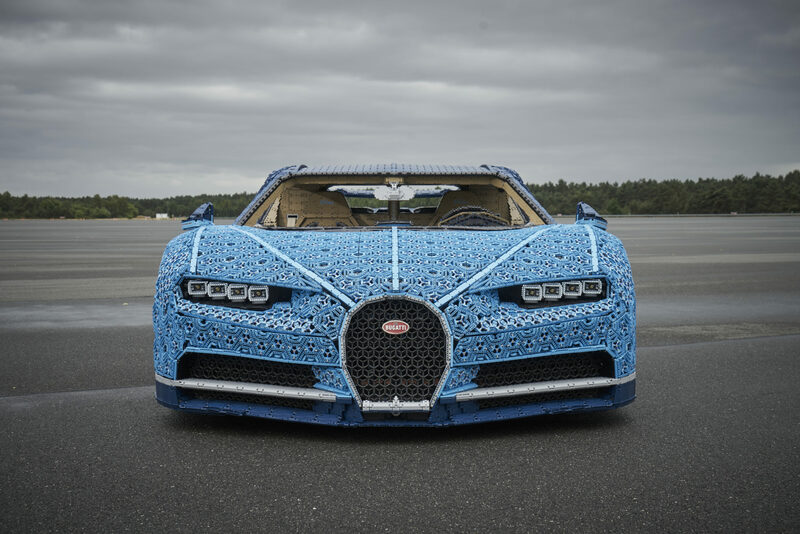 In fact 90% of the car is LEGO Technic and, even more unusually, uses no glue (or “Kragle”) whatsoever. 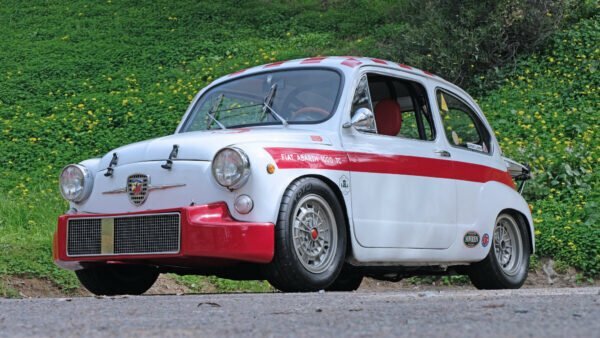 The bodywork proved a challenge. 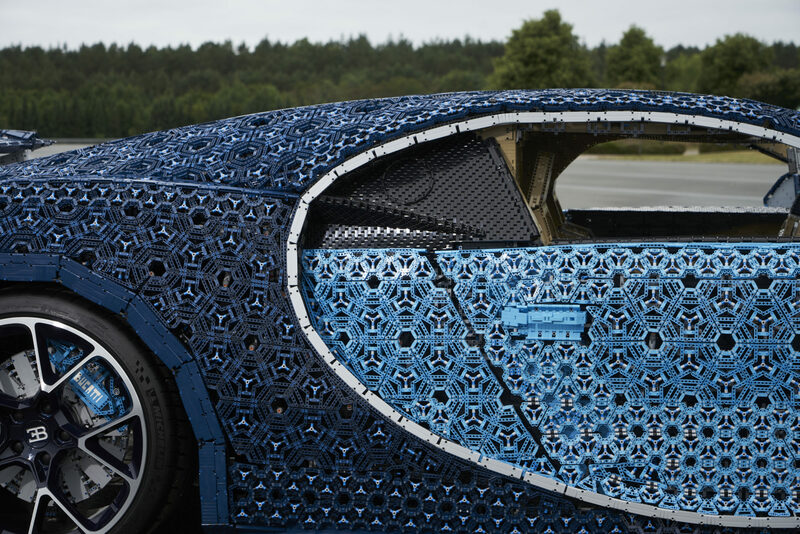 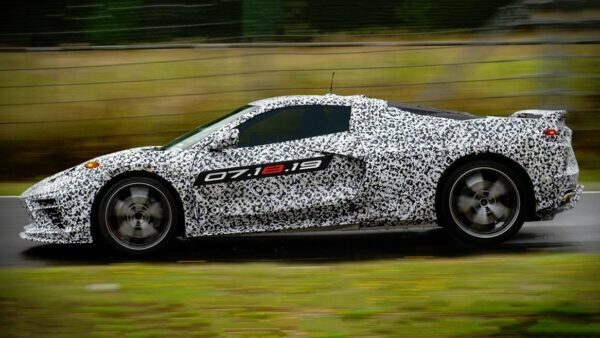 In order to replicate the Chiron’s panels, the team had to create a flexible outer skin. 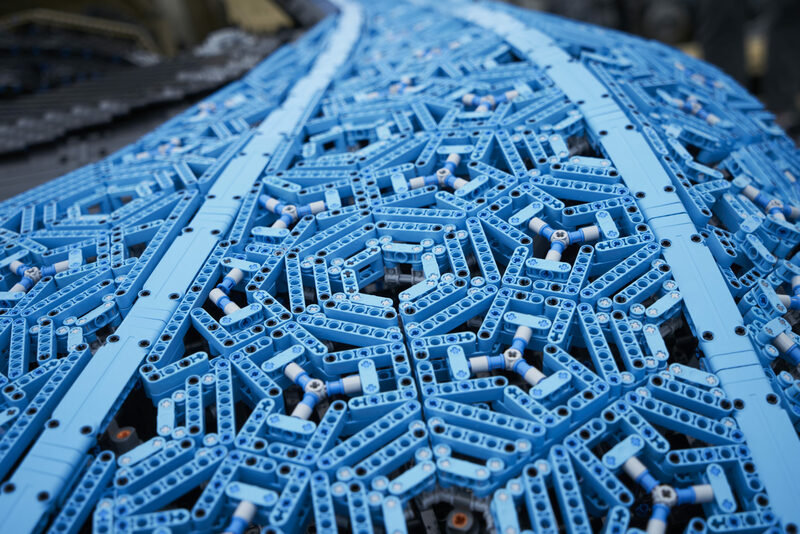 This used a number of triangles made of Technic pieces, joined with flexing connectors. 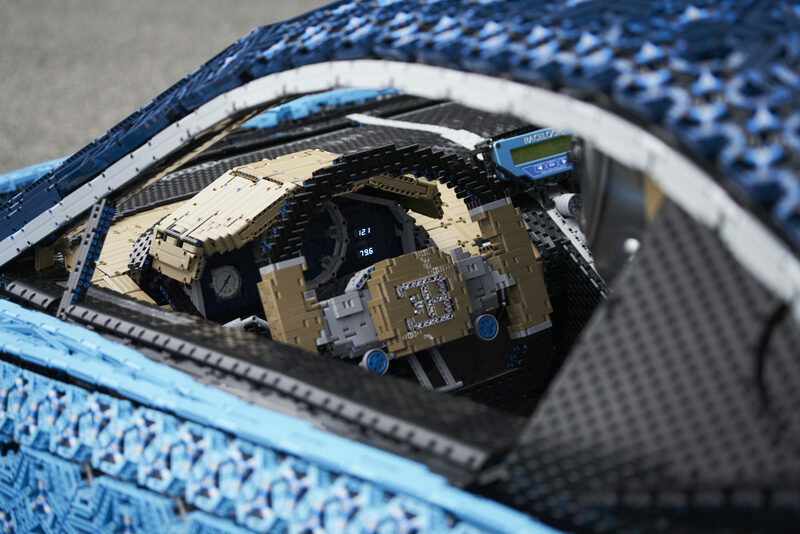 Once placed onto the LEGO chassis, the engineers could adjust the height of the sections with a special tool, to mimic the curves of the real thing. 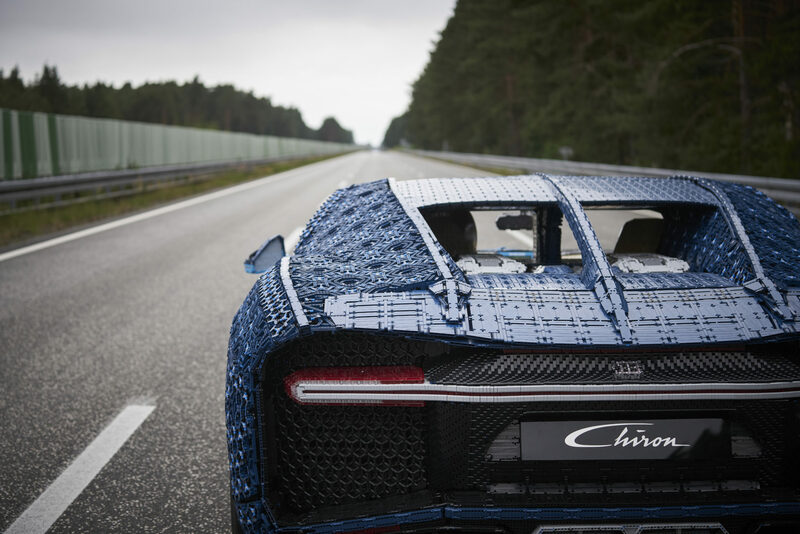 In order to create the lights, the team used new, transparent Technic pieces. 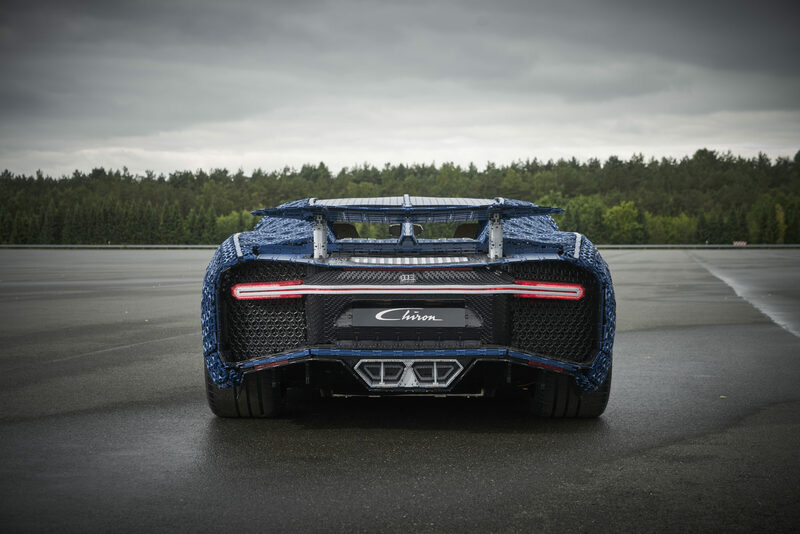 This gave the LEGO Chiron the characteristic rear light bar and four-element front lights. 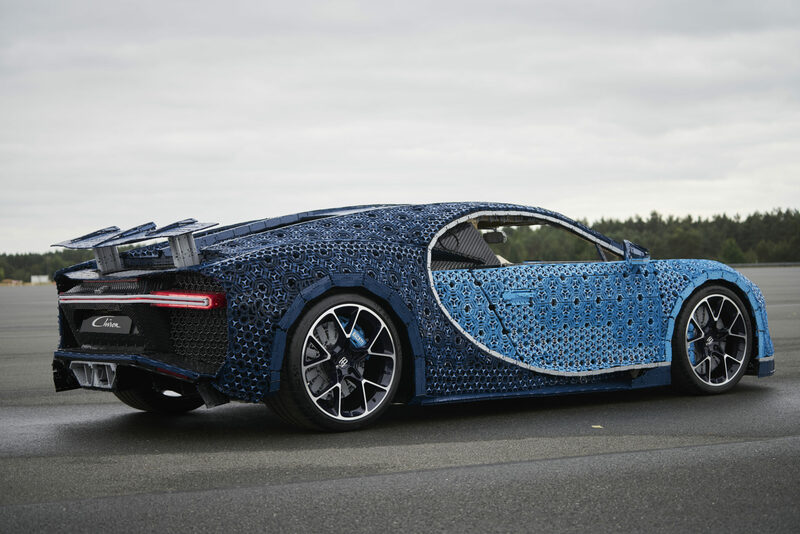 With all of the pieces in place, the Chiron came in at a fairly robust 3,300lb. 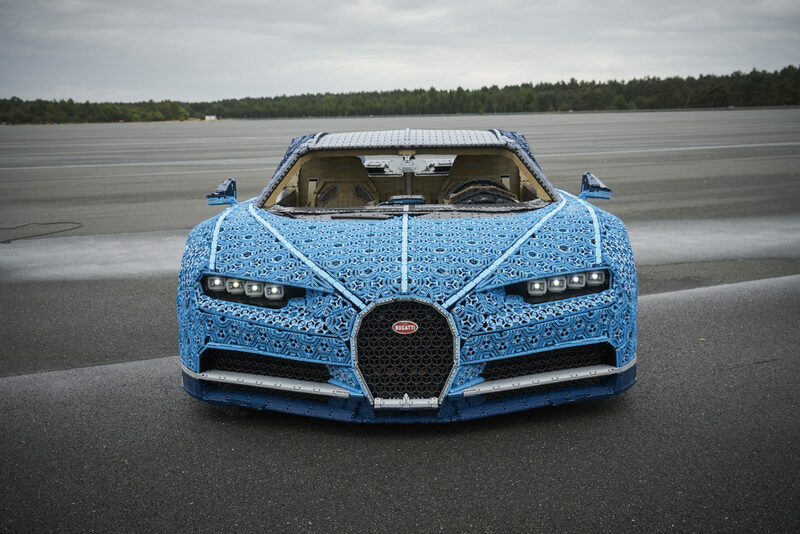 That’s some 850lb lighter than the real thing, but still not a light vehicle. 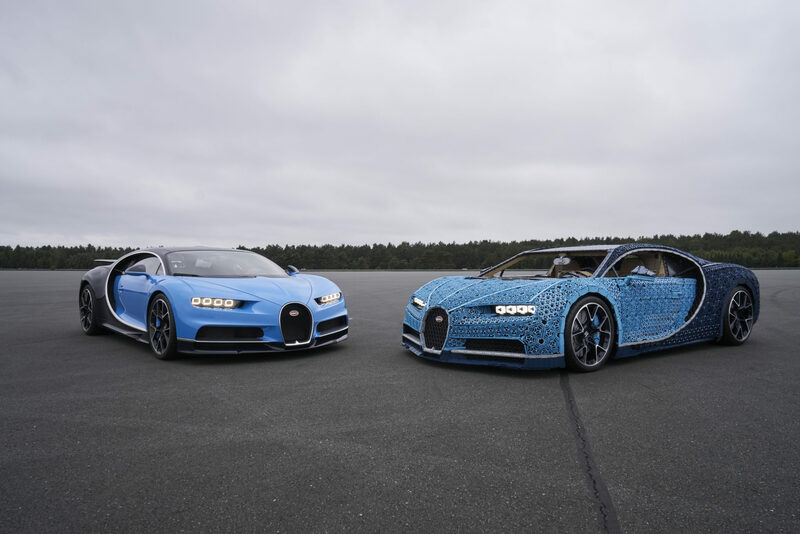 That’s a bit of a step down in the usual Bugatti power output, but nonetheless LEGO took it to Ehra-Lessien in Germany. 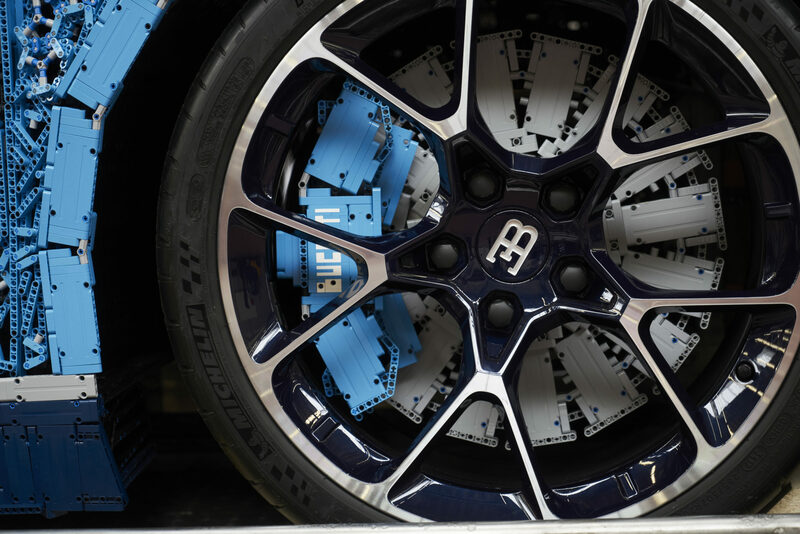 This is the test track that Bugatti uses for its high-speed runs, with a straight so long that you can’t see one end from the other due to the Earth’s curvature. 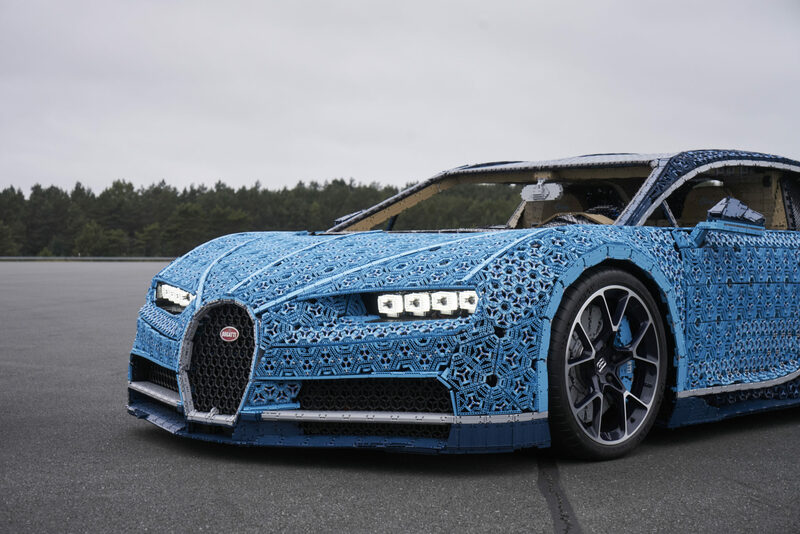 The LEGO Chiron wouldn’t quite need all of that straight to reach its top speed, it just needed to turn wheels under its own power. 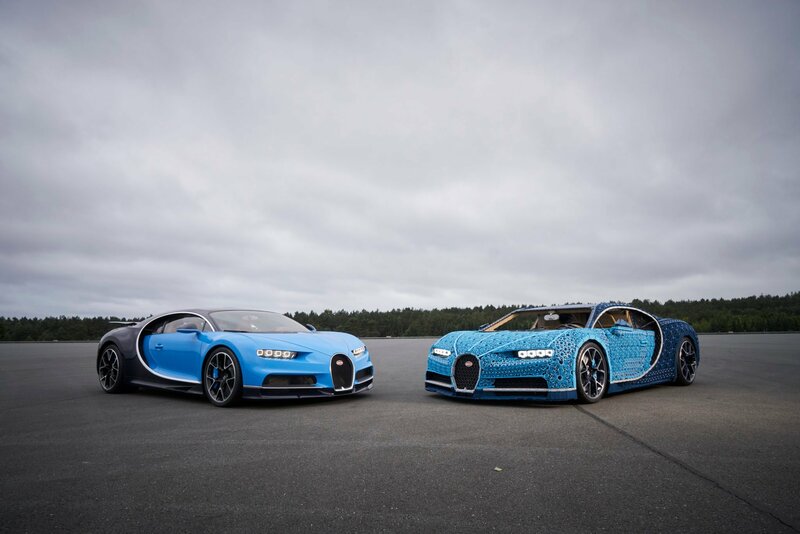 The brave soul who volunteered for the driving duties was Le Mans winner and Bugatti test driver Andy Wallace. 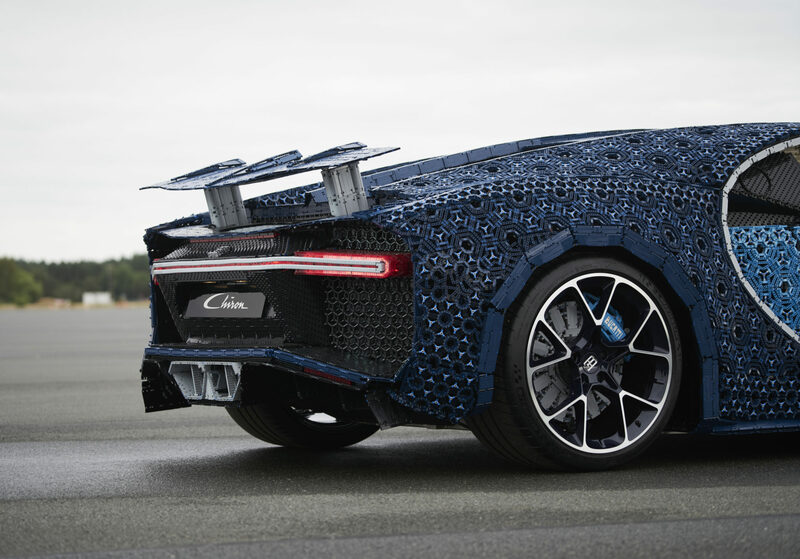 After one false start, traced to the metal chain connecting the motors and not any of the LEGO components, the Chiron took off under its own power. 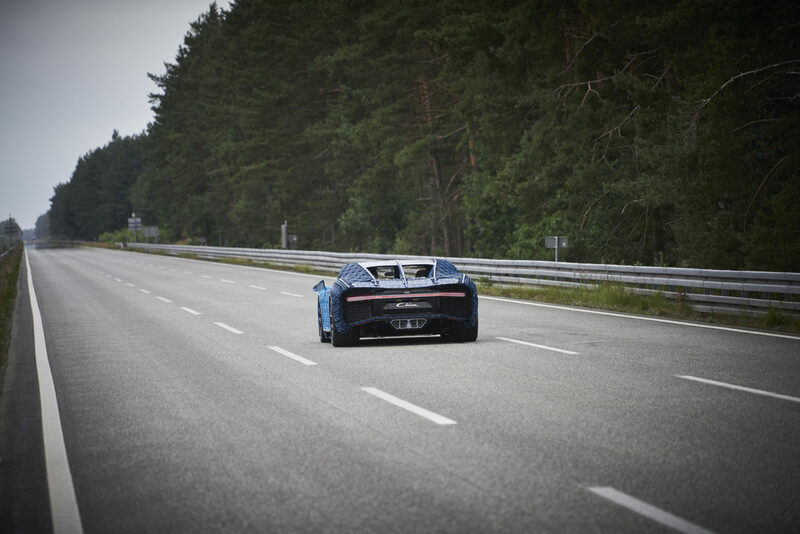 Wallace reached a speed of around 12mph. 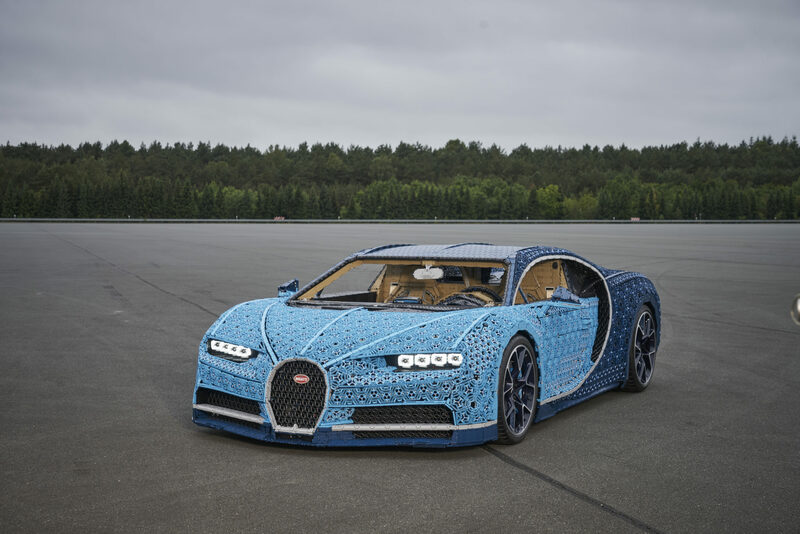 It’s not quite the pace Wallace is used to in a Bugatti, but surely a land-speed record for an electric car made of LEGO.